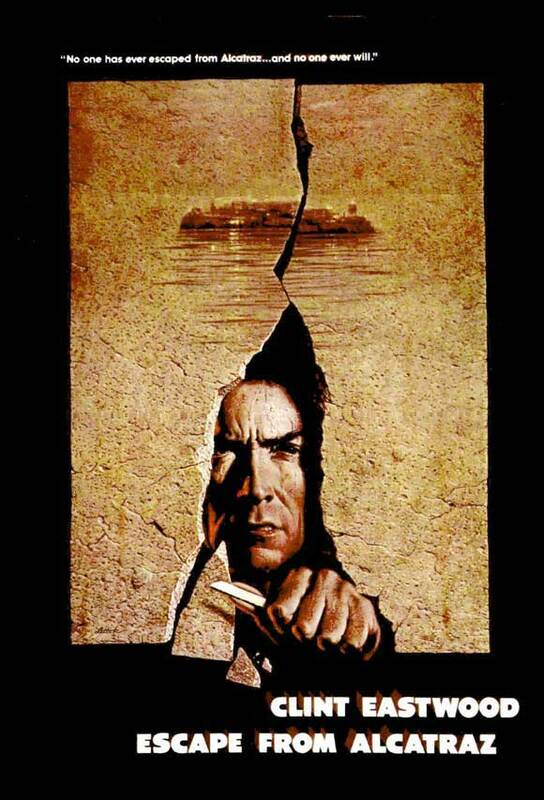 Escape from Alcatraz – Did You See That One? In 1962 a trio of prisoners began working on a plan to escape from the island prison known as Alcatraz. Their efforts would become legend as they vanished after might have been the only successful escape in the history of the prison. 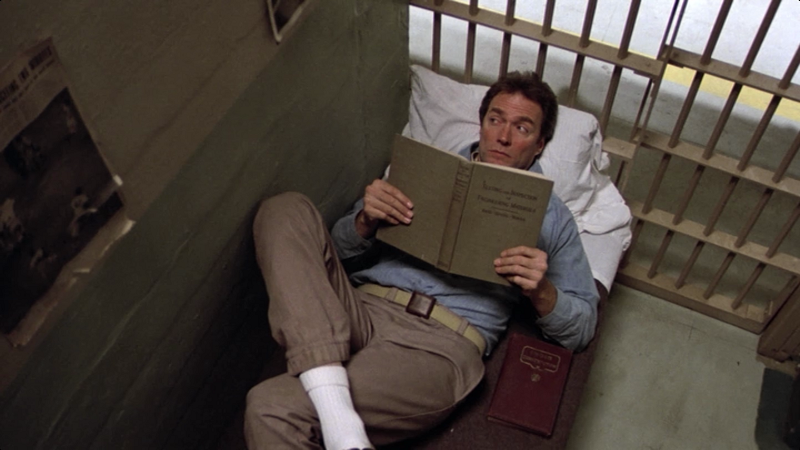 J. Campbell Bruce’s 1963 book Escape from Alcatraz was adapted by unknown screenwriter, Richard Tuggle (Tightrope). Tuggle shopped his script unsuccessfully for some time before gaining the attention of Don Siegel (Dirty Harry). 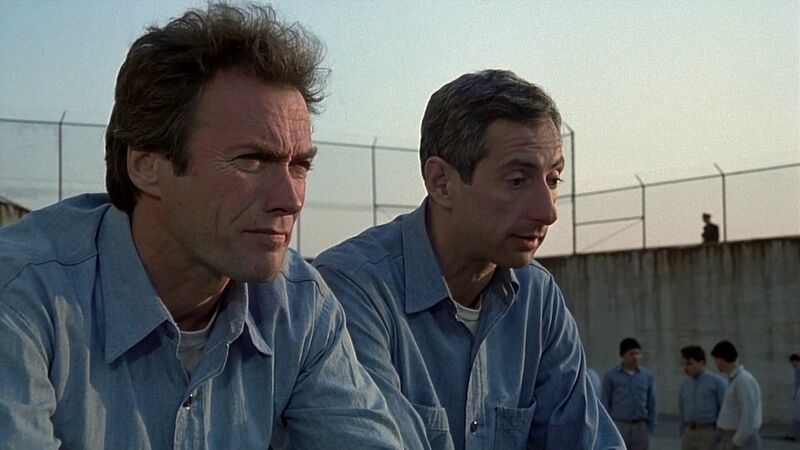 After Siegel brought the script to Clint Eastwood the film moved into production. Eastwood (Million Dollar Baby) stars in this one alongside a number of good actors. The cast includes Patrick McGoohan (Braveheart), Fred Ward (The Right Stuff), Larry Hankin (Billy Madison), and Roberts Blossom (Home Alone). This film is a fictionalized version of the only possibly successful escape attempt from Alcatraz. 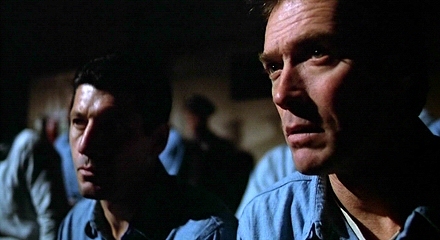 The writing focuses on the character of Frank Morris (Eastwood), from his arrival at the prison until the escape attempt two years later. Throughout the film there are a number of sub-plots that fill in the time and work on showing the pressures of prison life. The many minor characters in the movie are nicely written, showing differing versions of the effects of incarceration. The dialogue in the movie is good, but doesn’t do anything special. Overall, the film builds tension nicely towards the final payoffs in the story. It’s a fun film that works pretty well, even after more than 35 years. The acting in this movie features great performances from some familiar character actors. Fred Ward, Larry Hankin, and Roberts Blossom are just three of the many people called upon to give this one the depth it needs. Each of them does a nice job bringing out the emotional tone of their role, which makes this way more interesting than it otherwise could’ve been. 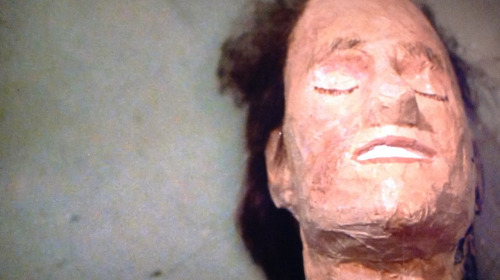 Clint Eastwood was a great choice to lead in this movie. While his performance echoes his work on films like Dirty Harry, he has a very human side that softens things up a bit. 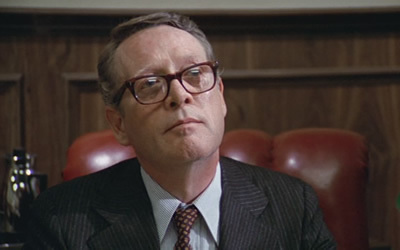 His role does a good job playing off of Patrick McGoohan’s performance as the warden. While the two might not fit the classic definition of adversaries, there is a unique tension between them. The acting does a good job overall in this one. This movie looks pretty great. Much of the filming was done on location at Alcatraz, which definitely adds to the authenticity of the movie. The studio put close to a half of a million dollars into restorations at the prison, bringing it up to the level they needed for filming. The camera work and lighting help to make Alcatraz a cold and unwelcoming place from beginning to end. The costuming and prop work add to the realistic feel of this one as well. While the production doesn’t do anything revolutionary, it does look and sound really good. This is a fun movie that tells a pretty incredible story. Thankfully the filmmakers didn’t push the story too far outside of the facts. If you’re a fan of prison films, this is one you need to see. I would also suggest this to fans of Eastwood. If you’re looking for a good movie with a lot of suspenseful moments, this is one to check out. I give this one 3.8 out of 5 stars. Even if you know how it all ends, the journey there is still what makes this worth watching. Nice review.